One of the mornings was quite windy. 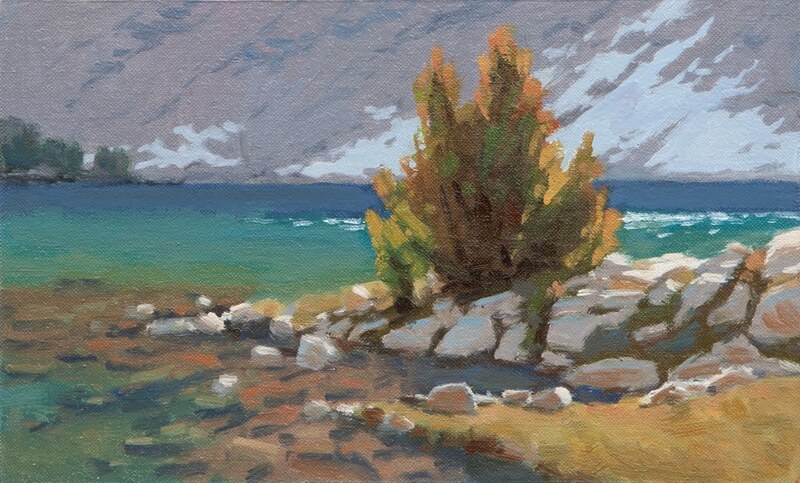 I chose to paint this little scene near our campsite largely because it was in the lee of a hill and relatively calm. The sunlight hitting the jewel tones of the water was also very appealing. Study 10x6", Oil on Linen.